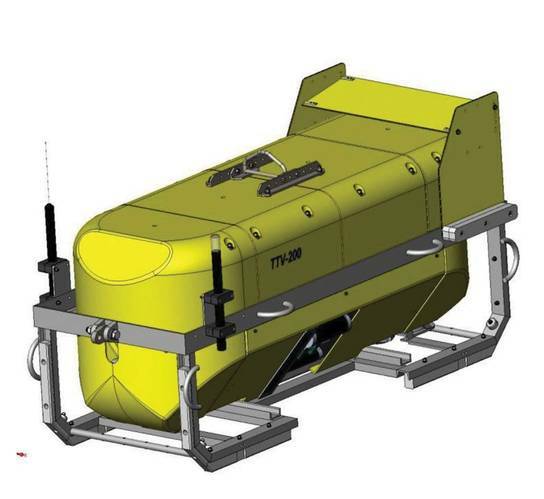 Figure 2: The deep tow vehicle is co-developed by Benthos and RESON and includes multibeam echosounders from RESON and a doppler velocity log from RDI. 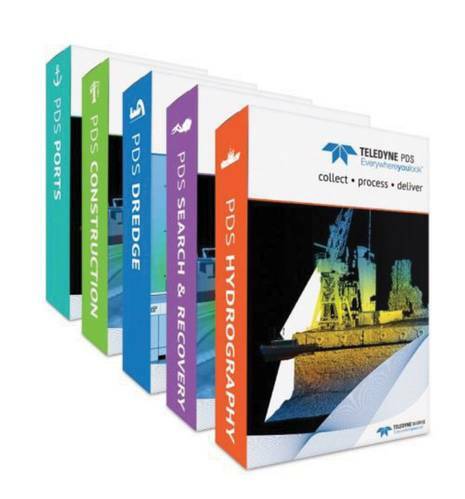 Figure 9: Teledyne PDS Software Suite, now available in a 64-bit version. Teledyne Marine is a leading provider of advanced multibeam echosounder and sonar solutions servicing a variety of markets and applications. 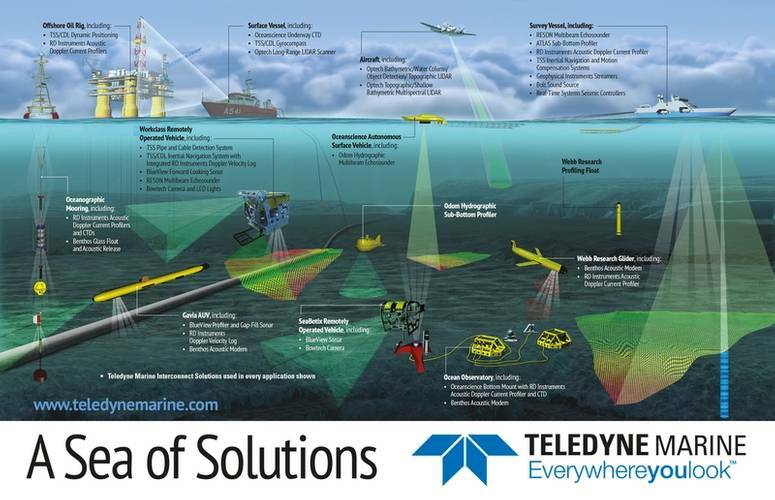 By delivering the most advanced acoustic technology solutions Teledyne Marine provides high resolution, accurate, dependable, long lasting solutions to our customers. Singlebeam echosounders and entry level multibeam bathymetric systems are manufactured by Teledyne Odom Hydrographic, high resolution multibeam echosounder systems and long range forward looking sonar are manufactured by Teledyne RESON, high-end deep water multibeam systems like the HYDROSWEEP from Teledyne ATLAS Hydrographic and 2D forward looking sonar as well as 3D multibeam scanning sonar aremanufactured by Teledyne BlueView. The combined strength of the four brands, also known as the Teledyne Marine Acoustic Imaging Group, delivers the strongest collective porfolio in the market for subsea acoustic imaging and multibeam echosounder solutions. Oceanscience, Optech, CDL and TSS are also part of Teledyne Marine supplying sonar solutions. 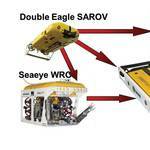 Teledyne Oceanscience develops the autonomous remote operated Z-Boat survey boat, which in partnership with Teledyne Odom Hydrographic is equipped with single and multibeam echosounders. Teledyne Optech develops and manufactures advanced lidar and camera survey instruments for airborne, mobile and terrestrial mapping. Teledyne CDL and Teledyne TSS design and manufacture a variety of sensors including gyrocompasses, attitude and heading reference systems, and inertial navigation systems. Teledyne Marine has locations focused on multibeam echosounder and sonar technology including manufacturing, research & development, sales and after sales support at the sites in Denmark as well as in Holland, Germany, U.K and the USA and Shanghai. Furthermore it supportscustomers through a truly global sales network of distribution partners in more than 47 countries. Teledyne Marine hasplus40 engineers and hydrographic surveyors dedicated to its Engineering Services team focused on providing close support to our multibeam echosounder and sonar customers, wherever they are and whatever the circumstances. The Engineering Services team operates out of service centers at six locations worldwide and it has extended theproximity to customers through a global network of service partners. The Teledyne Marine companies are deeply integrated and work closely together to develop cutting edge solutions, such as Teledyne Benthos and Teledyne RESON collaborating to develop a deep tow system for Odessey Marine Exploration. The deep tow vehicle, which includes a SeaBat 7125 Dual Head multibeam echosounder, is currently undergoing final sea trials and will, amongst other missions, primarily be used for search missions in very deep water down to 6000 meters. sites in Denmark as well as in Holland, Germany, U.K and the USA and Shanghai. Furthermore it supportscustomers through a truly global sales network of distribution partners in more than 47 countries. The Teledyne Marine Acoustic Imaging Group counts more than 40 engineers and hydrographic surveyors dedicated to its Engineering Services team focused on providing close support to our multibeam echosounder and sonar customers, wherever they are and whatever the circumstances. The Engineering Services team operates out of service centers at six locations worldwide and it has extended theproximity to customers through a global network of service partners. 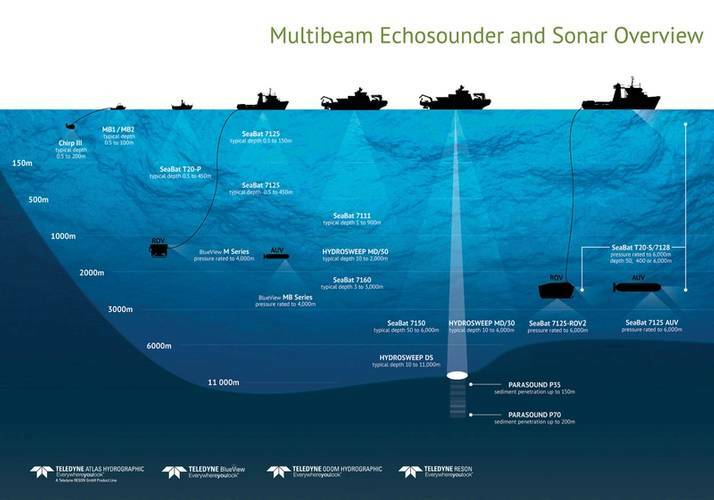 Teledyne Marine offers multibeam echosounder and sonar solutions in a variety of application areas including offshore, hydrography, civil engineering and dredging as well as defense & security. Teledyne Marine offers all accessories to deliver a complete solution rangingfrom sound velocity sensors, brackets, mounting kits, gondolas, and cables to motion compensation and INS systems including processing station, installation and final hand-over to qualify and secure the final system performs optimally. 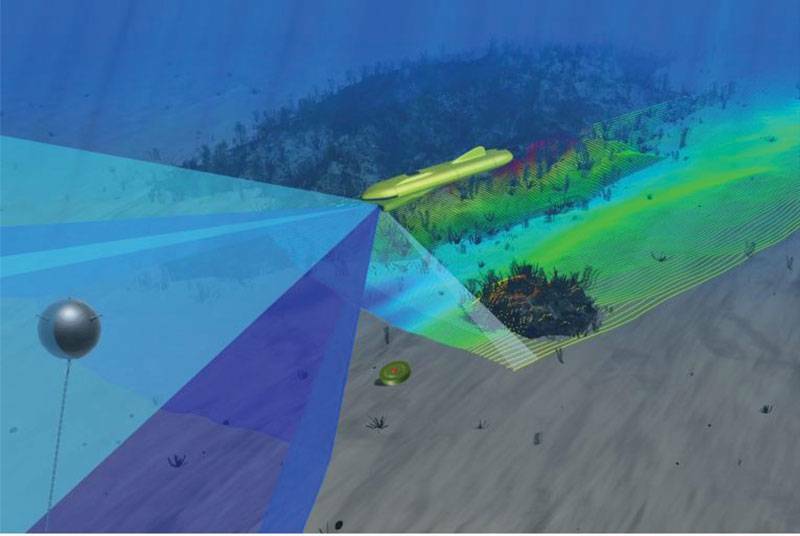 Teledyne PDS’s software solutions provide turnkey packages for Teledyne Marine’s singlebeam echosounders, multibeam bathymetric sonars, and multibeam scanning sonars. All sonar solutions provided by Teledyne Marine output industry standard data to interface with all major hydrographic sonar data collection packages. The Teledyne Marine hydrographic application areas are typically seafloor mapping, route surveys, ports & and harbors and marine research. Offshore is a primary focus area for Teledyne Marine. Teledyne RESON and BlueView offer a comprehensive product program for dedicated multibeam echosounders and sonars, supported by a global service organization to follow and support customers in this international industry. The forward looking imaging sonars from Teledyne BlueView provide an invaluable aid to ROV operators when navigating and maneuvering around Offshore subsea structures, and for pipeline surveying the SeaBat 7125 system is the favored choice for many survey companies, providing unrivalled performance. 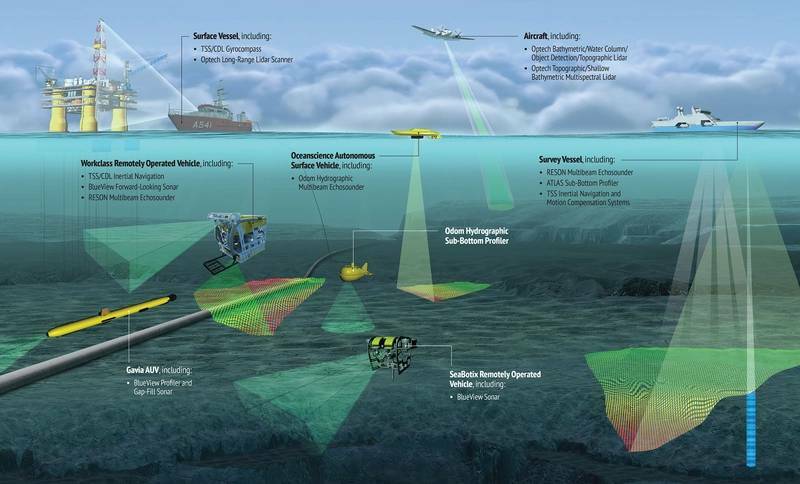 On the forefront of technology are innovative market leading features such as target detection systems for station keeping of ROV’s and automatic tracking systems to detect and follow pipelines. This is technology that provides customer value by improving operational effectiveness, reducing cost and shortening the time from data collection to end-product. 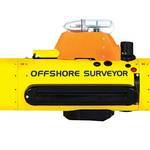 Main applications within offshore are pipeline surveying, metrology, inspection & monitoring, obstacle avoidance and leakage detection. 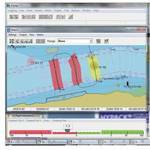 Teledyne Marine offers a comprehensive suite of solutions to support Civil Engineering & Dredge operations. Our product range includes hydrographic grade singlebeam echosounders, sub-bottom profiles and sound velocity profilers by Odom Hydrographic, 2D imaging sonars and 3D multibeam scanning sonars by BlueView and the SeaBat world leading range of multibeam echosounders all coupled with the power of Teledyne PDS software for hydrographic surveying and dredge guidance operations. With decades of experience Teledyne Marine knows that robust, easy to use equipment and accurate results are crucial to the success of its customers. Teledyne Marine is the only supplier with a full spread of acoustic and software solutions to meet the demands of the civil engineering and dredge market. 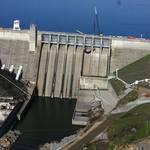 Main application areas are during, pre and post dredge surveys, dredge guidance, construction support, bridge dam & harbor inspection and scour and undercut monitoring. 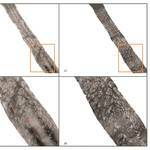 Accuracy is crucial for pre and post dredge surveys. Every centimeter counts as removal of even a fraction of a meter in depth can be a costly undertaking when done over a large area. 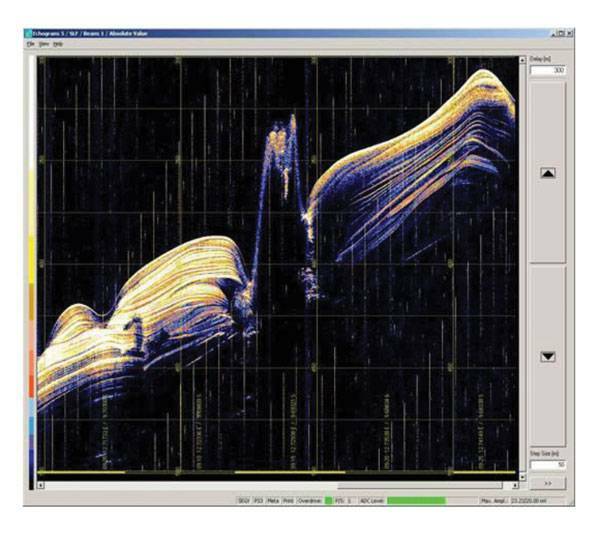 (see figure 5) Teledyne Odom provides accurate soundings with a unique patented bottom detection process for the most reliable results. Sounders are frequency agile and provide either paper or electronic readout. For a highly portable and robust multibeam echosounder,consider the Odom MB1 or MB2. For higher accuracy in a portable water resistance package take a look at the SeaBat T20-P. For those demanding nothing but the best look to the SeaBat 7125 for uncompromising accuracy and a powerful set of features. High resolution multibeams provide a unique ability to monitor and support subsea construction by allowing engineers to visualize progress in real time. BlueView 2D imaging sonar provide high resolution real time imaging and 3D multibeam scanning sonar provide high resolution 3D point clouds of areas and structures scanned for inspections throughout the construction project. (see figure 6) RESON SeaBat multibeams support operations requiring longer range and where the most stringent hydrographic results are required, and also provide a powerful set of features. Today more than ever, nations rely on their naval capabilities to maintain their national interests at home and abroad. The demand for ever enhancing capabilities combined with tighter budgets is an ongoing challenge for most navies. Teledyne Marine is ready to support those needs by leveraging the widest range of sonar systems and hydrophones on the market, and offers the ability to customize capabilities when required. Commercial-off-the-shelf (COTS) products provide excellent performance for a fraction of the price of traditional military systems, the cost of ownership through the product lifecycle is typically lower for commercial systems. 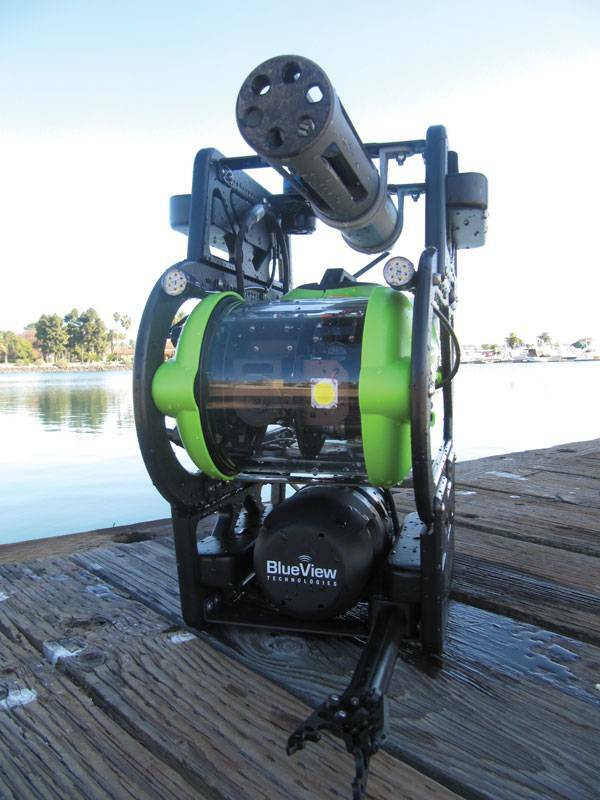 Teledyne Marine is represented in the naval market by products from RESON and BlueView including multibeam echosounders for tactical bathymetric mapping, 2D forward looking sonars for a variety of applications, and high quality hydrophones widely used by navies and institutes around the world. 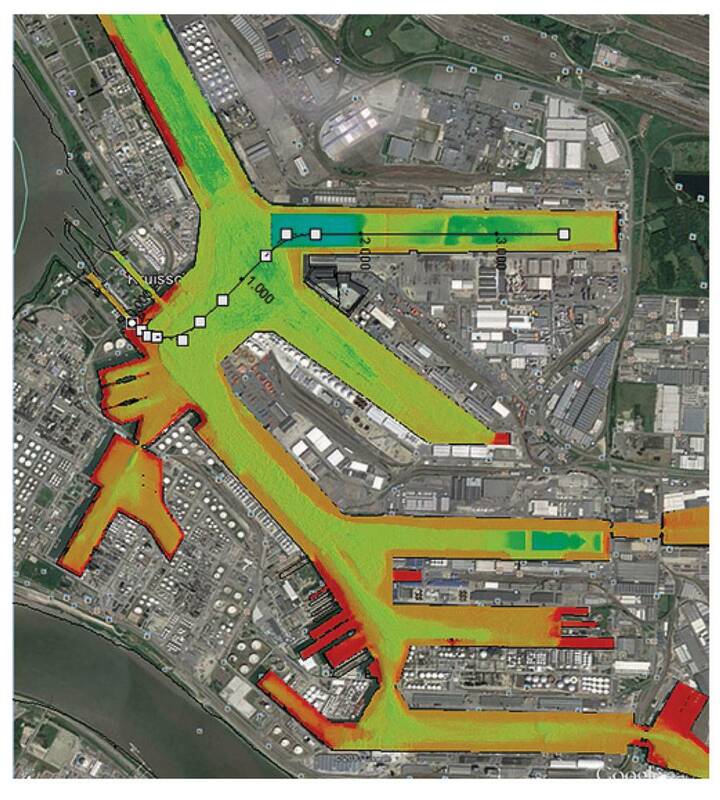 Main application areas include terrain mapping, obstacle avoidance, mine counter measures, diver detection and first responder support. Teledyne PDS is a multipurpose software platform and supports a wide range of tasks within Hydrography, Dredge Guidance, Construction Support, Search & Recovery Operations and Port Entrance Monitoring. Teledyne PDS is an optimized solution for both Teledyne Marine products and almost all other available systems in the market from recognized manufacturers, and enables immediate data visualization and quality control, so you can view results as images or numerically in real time. The software is designed to be used in the maritime world with an intuitive user interface that is easy to learn. 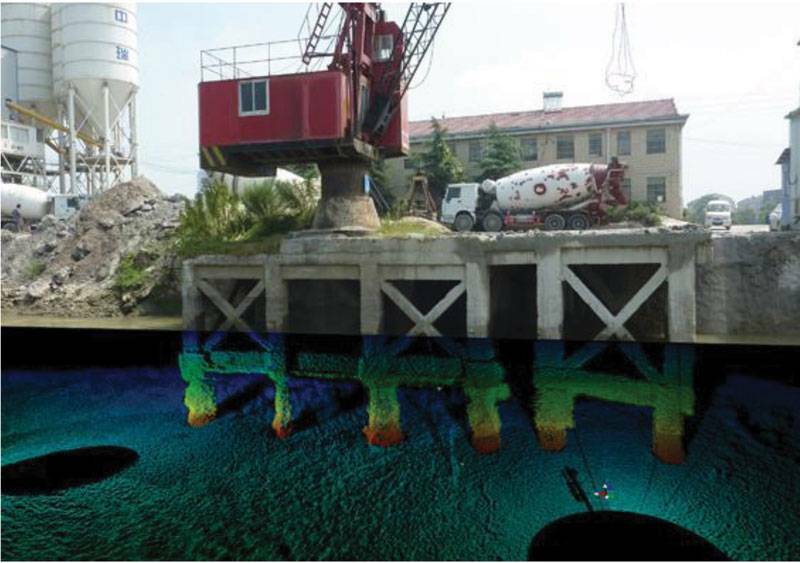 Support is provided worldwide by Teledyne Marine expert surveyors including survey assistance and training of operators.